Whether you are thanking your Maid of Honour for always being there through every hiccup. Or you’re thanking your Best Man for organising the best stag due imaginable, a little gratitude goes a long way. With that in mind, we’ve collated the September Gift Guide to help you find all those special one off thank you gifts for everyone who has been invaluable throughout your planning process. From organising the stag night to getting you down the aisle, the best man is a true hero in your wedding party, and as such needs a special gift to say thanks for all his help. Plus, if you get him an extra special gift, maybe he’ll tone down on the stories during the best man’s speech? 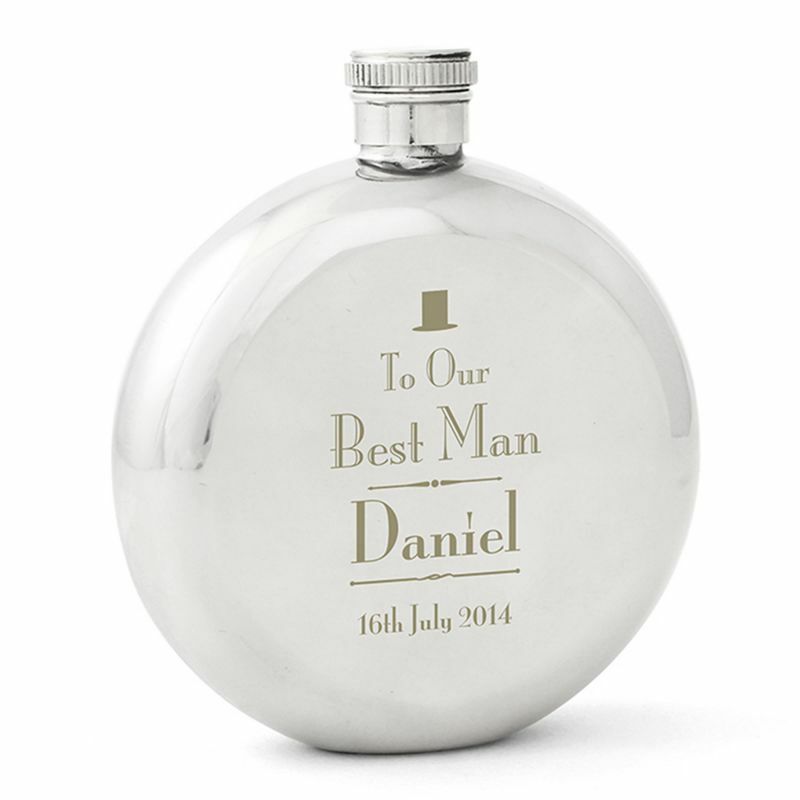 This Best Man Round Hip Flask is the perfect gift to show your appreciation, add that extra special touch by personalised the flask with his name, of why not add his nick name?! 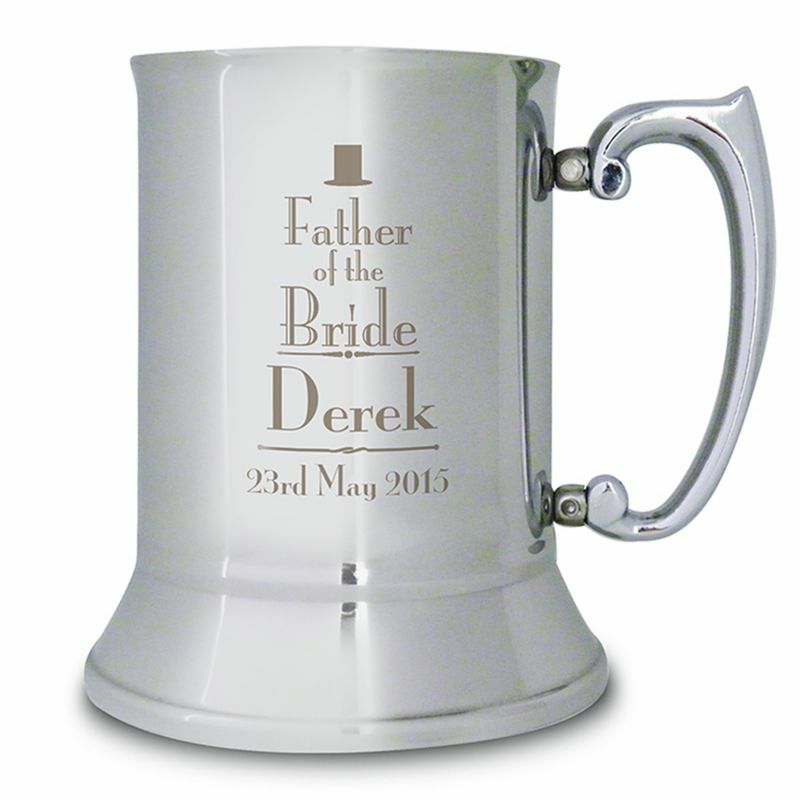 Whatever you decide to personalise the flask with, we are sure he will love this gift! Her help has been priceless the past few months, and you can’t imagine the planning process without her. With this in mind, she will need an extra special gift,but not just any gift. She deserves something extra special that hits the sentimental sweet spot and conveys your love and gratitude. 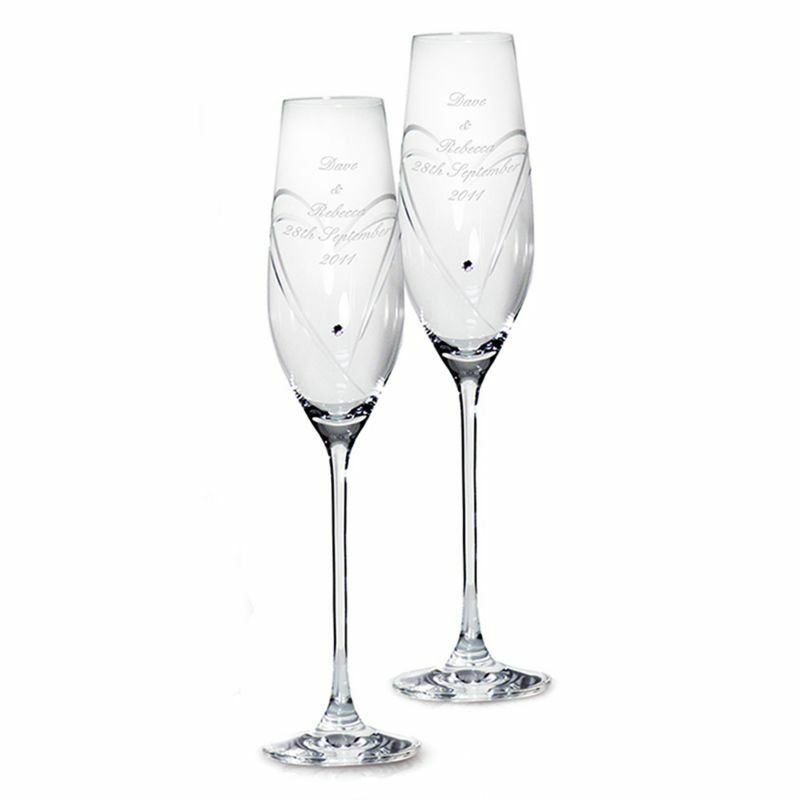 One of our favourite ideas for that extra special touch are these stunning personalised Swarovski Heart Flutes. Your girls have been by your side since the first date and they’ll proudly stand by your side when you say your vows and marry the love of your life. It’s a day they’ll never forget so give them a special present they’ll love and cherish, much like your friendship! 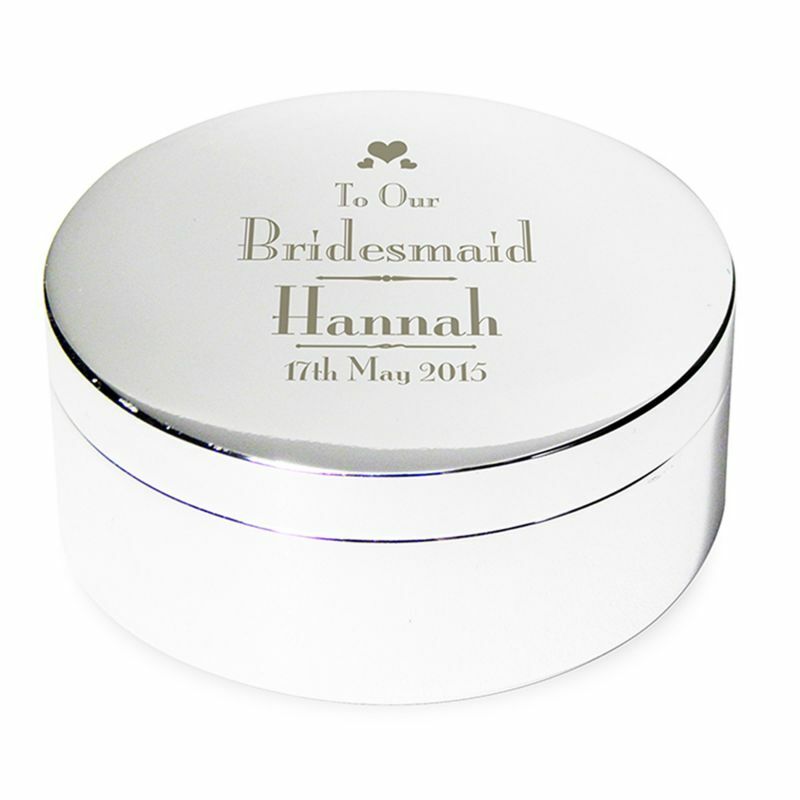 This Bridesmaid Round Trinket Box can be personalised with your girls names making it a truly special gift! It’s important to remember that just as much as this is your big day, it’s also your dad’s big day too! From walking you into school on your first day, to walking you down the aisle this is one day to remember for every father! Show him how much he means to you with a gift that speaks from the heart. The page boy in the bridal party plays such a sweet part in your wedding. Sauntering down the aisle with a big cheeky, yet shy smile across his face. After the wedding ceremony is over it’s always a nice gesture to gift the page boy with a little something. To show just how proud you are of him. If you think walking down the aisle was nerve-wracking for you, imagine what it was like for him! 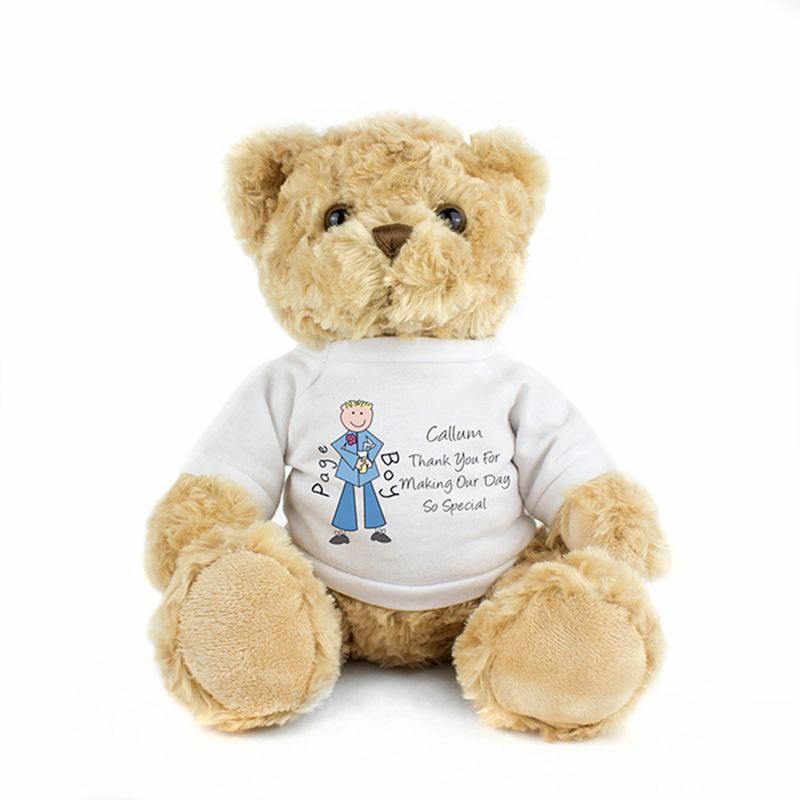 And this cute Pageboy Teddy Bear is sure to put a big smile on his face! Looking for more gifts for your wedding party? Shop the entire wedding gift range!